Unless you’re a writer who enjoys endless hours of tedious formatting, checking and reconfiguring cover art specs, and navigating the intricacies of the self-publishing process, it’s a good idea to hire some help. And many self-publishing companies will claim to guide you through the steps of what may be a somewhat overwhelming project. But before you sign on the dotted line, the experts here at Self-Publishing Relief recommend that you speak up loudly and clearly and ask the following five questions to gauge the trustworthiness and helpfulness of the companies you’re considering. Question #1: Do you reuse cover art images? Truly custom cover designs should never be sold to another client, but these designs can be expensive. Companies can help you keep cover design costs down by using stock art—it’s relatively inexpensive and easy for an expert to convert into a professional-grade cover. But because stock art isn’t created for one particular customer, it is available to be licensed by others as well. Even if the image is available to others, however, your overall cover design should not be. Ask your self-publishing company about cover image sources, licenses, rights—and if they will ever sell your design to anyone else. Question #2: Will I see a proof copy? At the very least, you should see a physical proof copy of your paperback version before it is published, and you should be able to preview the electronic version as well. At Self-Publishing Relief, we also show our clients digital proofs at key points in the process to confirm the projects meet their satisfaction at every stage. Questions #3: Is there a time frame for completing the project? 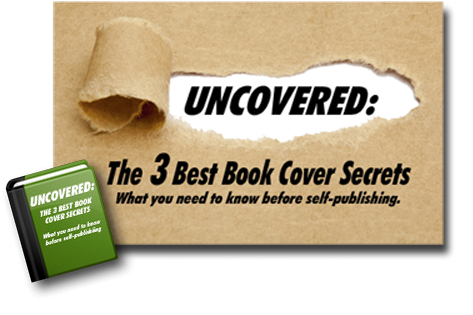 Every self-publishing project is unique, and it’s impossible to foresee every single challenge that may arise during the process of producing your book. However, an experienced, professional self-publishing company should be able to give you a target date for publication—just keep in mind that snags along the way could mean that the date must be revised. Ask for an estimated release date up front, and make sure your contract covers you if the company doesn’t produce your book within a reasonable time frame. Question #4: Do you take a cut of the royalties? Make sure you understand the company’s fee structure and how you are expected to pay for its services. Do they take a share of the royalties you earn on each copy sold? Online retailers such as Amazon and print-on-demand services such as CreateSpace take a percentage of your royalties to cover their costs, but it is not standard procedure for self-publishing companies to do so. If the firm you’re considering charges for its services and also wants part of your per-copy profit, be sure you know why and, of course, how much. Question #5: How can I terminate our contract? It’s unfortunate but sometimes it still happens: You asked the right questions, checked client testimonials, and researched reviews of the self-publishing company you’ve chosen, but after you sign the contract, it becomes clear that the relationship isn’t working. Be sure to read the contract carefully before you sign it so that you fully understand the terms and know what circumstances constitute grounds to terminate the agreement. A reputable firm will honor your request to part company. Knowing how time-consuming and technically involved self-publishing your book can be, you may decide not to do the whole project yourself. At Self-Publishing Relief, we can help guide you through every step of the process and handle the most complicated tasks for you. The result: You’ll have a book you’ll be proud to put your name on! Schedule a free consultation today. 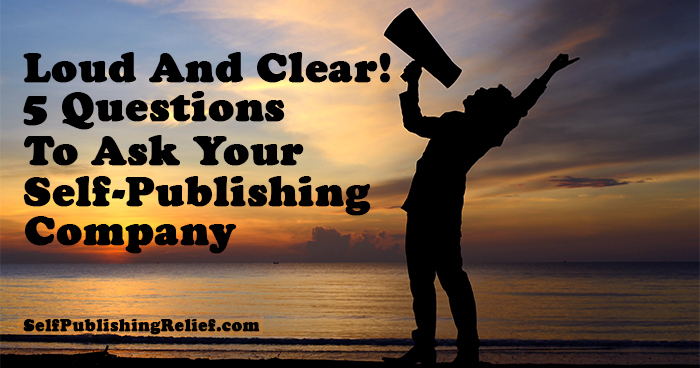 Question: What other questions should you ask before you hire a self-publishing company?